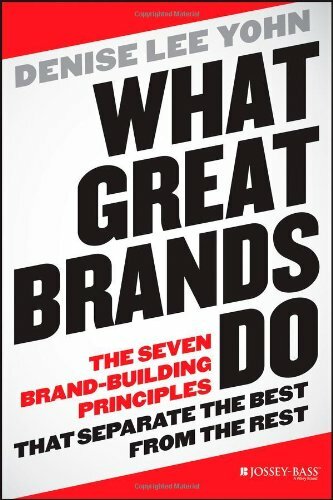 Book Review: What Great Brands Do — Toister Performance Solutions, Inc.
Denise Lee Yohn’s new book isn’t just for marketing people. The central message of What Great Brands Do is that developing a well-respected brand goes way beyond marketing. A strong brand serves as a central theme for how the entire business is run. I found myself taking pages of notes as I read the book. Perhaps it was because many of Yohn’s branding philosophies align squarely with my own thinking for customer service. It may also be her engaging writing style that uses a blend of real-life examples and practical exercises to help the reader understand each concept. What's the connection to customer service? Customer service is ultimately part of a company's brand. What a company promises must ultimately match the service its customers receive for a brand to be authentic. As I pointed out in a recent blog post, you can't advertise your way to great service. This book is highly recommended for any business leader. It’s available in hardcover and e-book format from Amazon and Barnes & Noble.